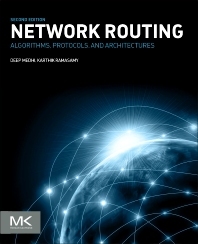 Network Routing: Algorithms, Protocols, and Architectures, Second Edition, explores network routing and how it can be broadly categorized into Internet routing, circuit-switched routing, and telecommunication transport network routing. The book systematically considers these routing paradigms, as well as their interoperability, discussing how algorithms, protocols, analysis, and operational deployment impact these approaches and addressing both macro-state and micro-state in routing. Readers will learn about the evolution of network routing, the role of IP and E.164 addressing and traffic engineering in routing, the impact on router and switching architectures and their design, deployment of network routing protocols, and lessons learned from implementation and operational experience. Numerous real-world examples bring the material alive.